Immerse yourself on cutting-edge motoring technology with the Toyota Innova. As a compact MPV (or MUV) that was first launched and produced in Indonesia, the Toyota Innova soon spread its presence on different markets worldwide (to name a few, Brunei, Philippines, Qatar, Oman, Saudi Arabia, Kuwait, South Africa, and the UAE) proving just how impressive its performance is with different sorts of motorists in the world. Truly, this car lives on with its namesake of innovation, with its constant push to challenge and conquer different motoring milestones. 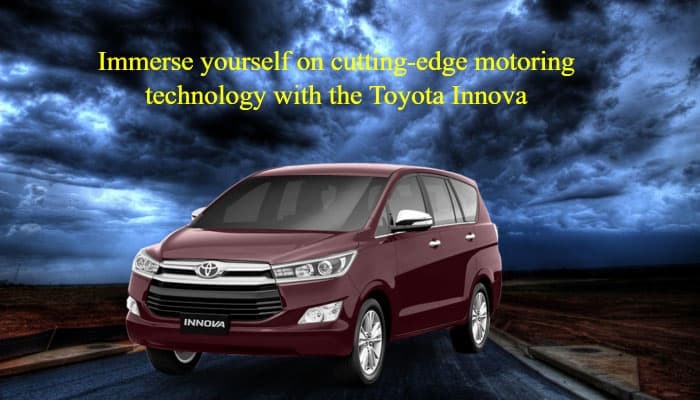 Let’s find out more why the Toyota Innova is an innovative car to drive and ride in. From being a public transportation vehicle, small delivery truck, and even a police car, the Innova truly innovates its purpose depending on how a motorist chooses it as so. As such, it comes as no surprise that the Innova is one of the most sought-after cars among Toyota models. The Toyota Innova is powered by a 2.8 litre engine, with a maximum power output and torque of 167 hp and 343 Nm respectively. Coupled with the five-speed manual transmission system, the power generated by this vehicle is just enough to accomplish even the harshest motoring tasks. Also, the Innova has a Sports mode setting – using this setting will result to speed and acceleration boosts, so do be wary if you suddenly find the Innova a monstrosity to manage or control! 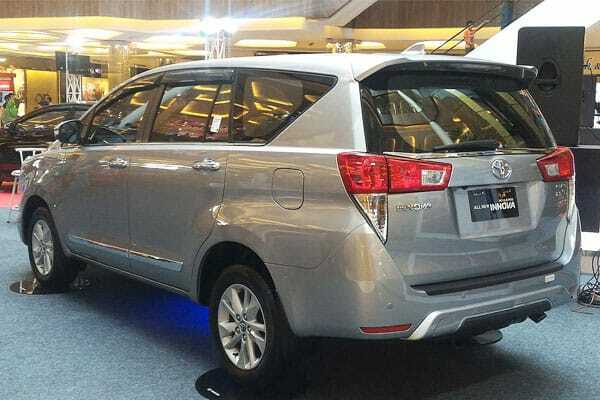 Additionally, the latest Toyota Innova also has its suspension system, brakes, and overall control improved. The Innova has the makings of a fast car underneath a rugged look – its appearance can be deceiving, when it comes to being a fast (over reliability) vehicle. The newest Toyota Innova also comes with an improved audio head unit. Drivers and passengers can simply engage and connect their devices unto the car, in an easy or user-friendly manner. Steering wheel knobs and controls also offer an impressive and safe way to control devices. Also, USB or auxiliary ports are located between front seats – which make these ports accessible for passengers behind. As an upgrade from the typical rugged styles or designs, the latest Innova features a sleeker look that will appeal new drivers and the like. With a sophisticated and even elegant look, the Innova can make people stare at it, even creating memorable experiences for even one not in the car. Some exterior improvements to be dazzled about are bigger headlights, stronger windshields, and subtle design adjustments such as rear spoiler and rear window graphic alignment – small details that matter the most with an eye that scrutinizes! 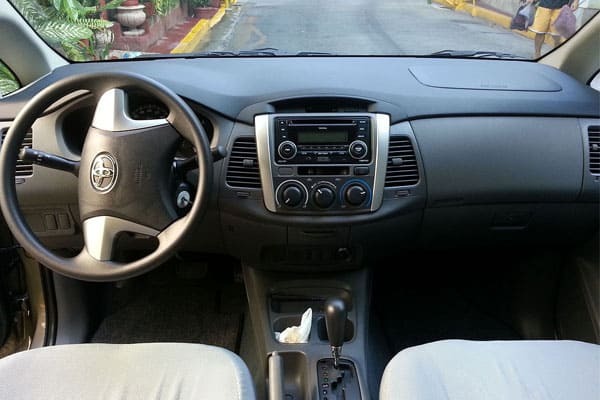 The Toyota Innova Interior – Impressive! Yet one key highlight that one needs to be aware of about the Toyota Innova is its impressive and practical interior design. Similar to the exterior revamp design, the Innova’s interior has also been improved, from having an elegant and tech-friendly integration that definitely spells out INNOVATION. As we’ve mentioned earlier, the stylish and accessible infotainment screen blends design and function in one key spot within the vehicle. The dashboard, evolving as well with the times, is now sculpted, with wooden inserts all along the beautiful wing design. Aside from the touch screen infotainment panel, a minimalist style aspect is integrated into the Innova. With only two dials on the digital display counter, information is given out, without the hassle of figuring out how an array of buttons works. Complementing the touch screen fixture is the Innova’s automatic climate control system. This system, aside from assuring a driver and his or her passengers of relaxing trips, also allows a motorist to control and adjust temperature settings for rear aircon vents without turning his or her head around. The Innova also comes with adjustable leather seats, just perfect for even the longest or stressful drives in the urban jungle. Speaking more about comfort, seatback trays with cupholders have also been installed in the vehicle. From being able to hold food and beverage (the seatback tray can hold up to 10 kg), this small yet thoughtful inclusion is just perfect for motorists with families. Also, the Toyota Innova interior comes in several space-saving and adjustable combinations to help both passengers and cargo to be held within the vehicle the safest way possible. To top our interior feature off, the Innova is also equipped with LED ambient lighting system, which allows drivers to set the mood or feel of the vehicle within. Also, we’d like to address this issue that some motorists may seem to have noticed. 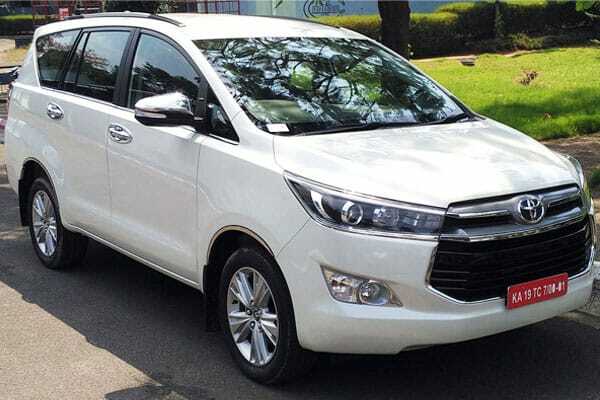 For some, the Toyota Innova has a distinct likeness to the Toyota Avanza, which may lead to confusion for some motorists. Perhaps one of the key design elements that the Innova and Avanza may have in common is the trapezoidal grille. Although both vehicles are indeed impressive, that one particular element is only of an aesthetic point. For more details on what makes an Avanza different from an Innova, please contact your nearest Toyota dealership. Innovate your way towards a better future with the Toyota Innova – drive one today!